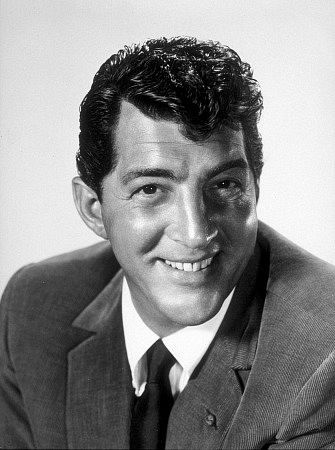 Dean Martin had a great career in both singing and acting. He started out early in his career working with Jerry Lewis. 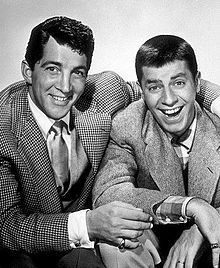 Making up the comedy team Martin and Lewis. 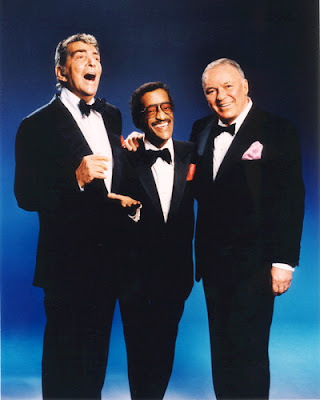 Later in his career he would be part of The Rat Pack along with Frank Sinatra, Sammy Davis Jr., Peter Lawford and Joey Bishop. The original 'Ocean's 11' was a Rat Pack movie. Personally I know him best for his roles in the John Wayne movies 'Rio Bravo' and 'The Sons of Katie Elder'. 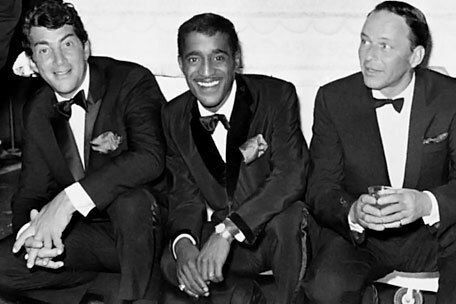 Dean Martin, Sammy Davis Jr., and Frank Sinatra in their Rat Pack days. 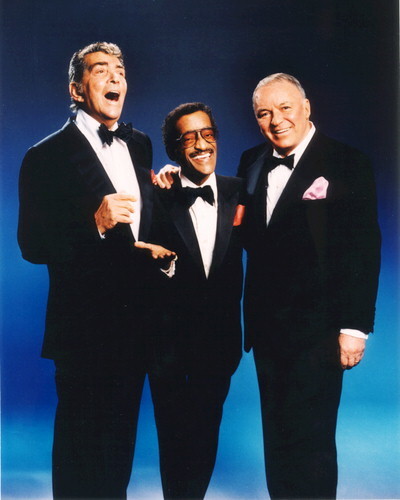 Dean Martin, Sammy Davis Jr., and Frank Sinatra later in life. 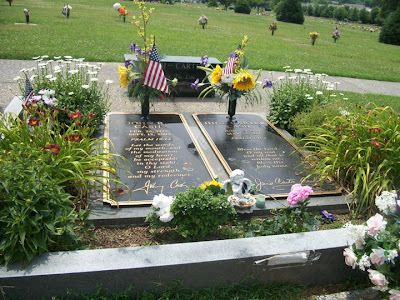 Gravesite of Dean Martin. 'Everybody Loves Somebody Sometime' is his epitaph. It was of course one of his songs. Dean Martin is buried at Pierce Bros. Westwood Memorial Park in Los Angeles, CA along with other big names like Marilyn Monroe, Jack Lemmon and Walter Mathau. I visited his gravesite on October 1, 2011. 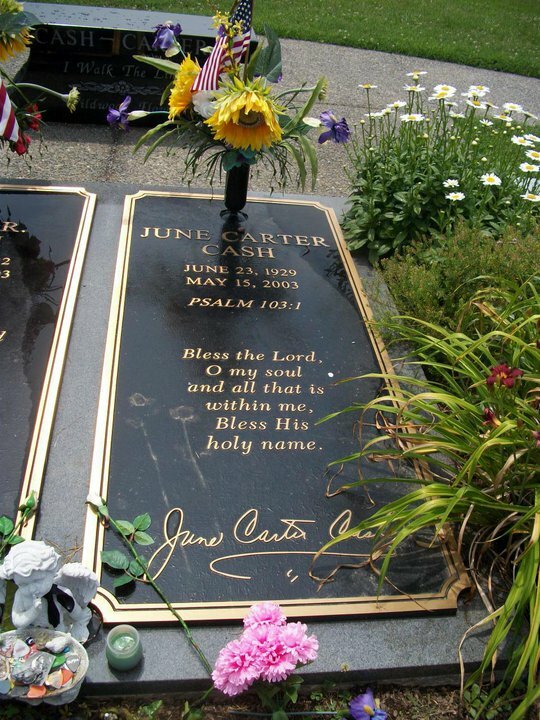 As you can see he was interred in a wall just like Marilyn Monroe. Dean Martin and me. The goofy look on my face can be expained. As my sister was taking the picture our voluteer tour guide told me to say 'Dean' as the picture was being taken. So I am saying 'Dean' as the picture was being taken. 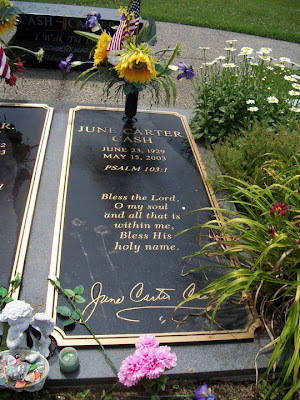 Most of the big name celebrity gravesites that I have seen I saw at the Pierce Brothers Westwood Memorial Park in downtown Los Angeles. We started that day visiting the gravesite of John Wayne, then taking in the Nixon and Reagan Libraries. We left Reagan's Library around 4 and headed for Westwood. We arrived with little trouble. If we didn't know it was there we would of easily missed the sign to the enterance. Even looking for it we drove by it once. The driveway and the cemetery is in the mists of tall Los Angeles skyscrapers. It is a pretty small cemetery. Marilyn Monroe was the first celebrity buried in this cemetery in 1962 and then several have followed since. 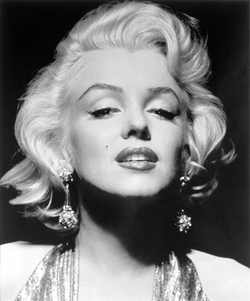 Unlike my first 2 blog post John Wayne and Johnny Cash I've never really had a particular interest in Marilyn Monroe's work (other then the obvious fact that she was one of the most attractive women in history). Until recently I never had seen a Marilyn Monroe movie all the way through. I did, however, watch 'Some Like it Hot' when I returned from California. Marilyn Monroe, Jack Lemmon both star in the movie, and Billy Wilder directed it. All 3 were buried at Westwood Memorial Park. So I made a note to self to see the movie upon my return home. I enjoyed it. It was very funny and I think I now understand a little bit more the legend of Marilyn Monroe. She is well known for having an affair with John F. Kennedy. And like JFK she was young and good looking when she died. So her legendary icon status has far exceded her actual career accomplishments. Again like JFK. My sister sitting at Marilyn Monroe's reading tree. The story of how this cemetery became a celebrity cemetery starts at this tree. Marilyn Monroe came to this tree alot to relax and read. The reason she came to this tree was that her Aunt and her Godmother are both buried near the tree. When she died her ex husband Joe Dimaggio had her buried here since he knew she would like to be near her loved ones. Hugh Hefner paid alot of money to be buried next to Marilyn Monroe. Kind of a creepy side note, according to our volunteer tour guide, is that the guy who is interred above her spent his life savings to buy that burial plot. When he died, before his friends put his casket in the wall, they turned his body upside down. So that he would be facing Marilyn Monroe for all eternity. Johnny Cash's music career would span 6 decades. In my humble opinion Johnny Cash is to music what John Wayne is to movies. I honestly didn't pay much attention to Johnny Cash growing up. It wasn't until around the time he died his song 'Hurt' was released. It was a strange collaboration in that 'Hurt' was a Nine Inch Nails song that Johnny Cash re did. But Johnny Cash once said that a good song is a good song, no matter who wrote it. Hearing the song and watching the video got me interested in Johnny Cash so I went out and got one of his Greatest hits CD's. For the next month that CD is all I listened to. It started out with Cash's earlier songs like 'Folsom Prison Blues' and followed his career all the way to one of his last songs 'Hurt'. So a couple years later when the movie 'Walk the Line' came out, I was really looking forward to it. 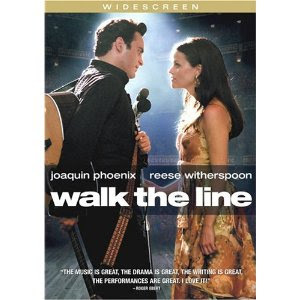 'Walk the Line' is of course the Johnny Cash biopic movie staring Joaquin Phoenix and Reese Witherspoon. 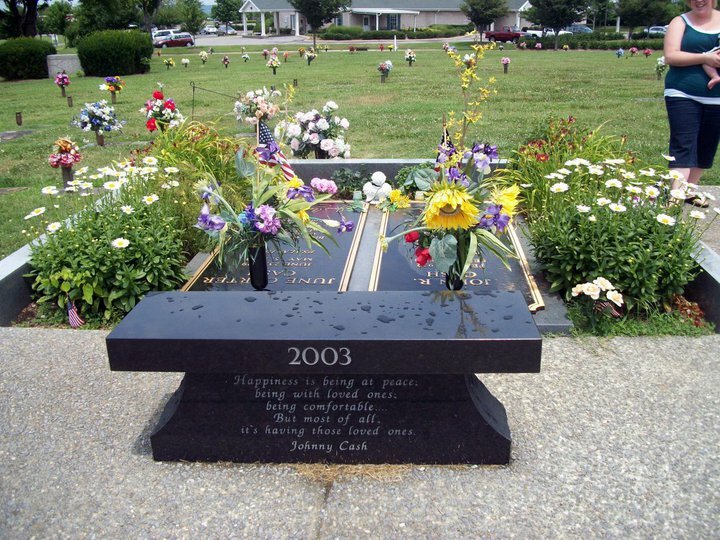 I first maped out the gravesite of Johnny Cash and June Carter Cash in the Spring of 2009 when planning my trip down to Texas. We were going to stop in the Nashville area to visit Andrew Jackson's Hermitage home and James K. Polk's gravesite on the Tennessee State Capital lawn. As it turned out we didn't have time to see it in 2009. But we passed back through the area on our way back from a return trip to Texas in June 2011. Johnny and June. June Carter and her family where famous stage performers when she met Johnny Cash. For anyone who may go to Hendersonville to find Johnny and June Carter Cash's grave I hope this picture will be helpful. In the background you can see the funeral home near the enterance. 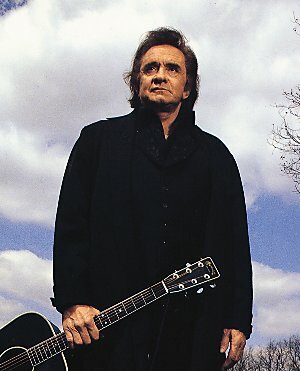 Johnny Cash was called the 'Man in Black'. Obviously because he usually wore black and one of his song was called 'The Man in Black'. His music isn't easily defined as any particular type. He oftain falls under the category of Country Western but I don't think that accuratly defines his whole career. Legendary actor John Wayne was born in Winterset, Iowa on May 26, 1907. His given name at birth was Marion Robert Morrison. 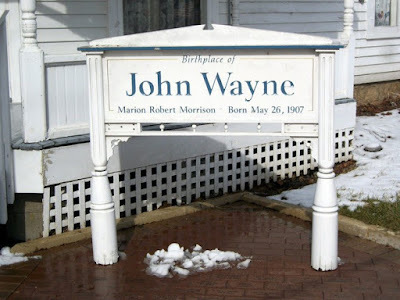 I visited the birthplace of John Wayne in March 2011. 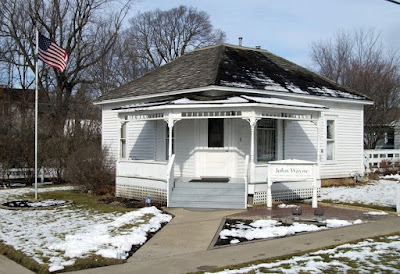 I made a big loop through the western Midwest and saw the Truman and Eisenhower Libraries, as well as Gerald Ford's birthplace on the first day. We spent the night across the border from Omaha, Nebraska, in western Iowa. On the second day of the trip we would drive the entire length of Iowa arriving at the Hoover Library in eastern Iowa towards the mid afternoon. I was looking for something to see in Iowa that would break up the state wide drive to Hoover. 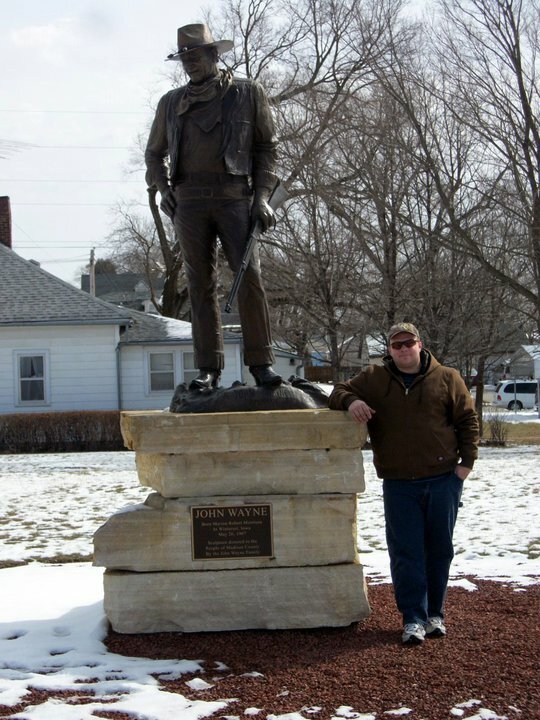 I was very pleased to find that right in the middle of the state near Des Moines was the birthplace home of John Wayne. So John Waynes birthplace and Vice President Henry Wallace's grave in Des Moines made a good break in the drive. I grew up spending alot of time at my Grandparents house who lived just down the street. They would watch alot of old westerns on TNT, TBS AMC ect... So of course we would watch alot of John Wayne. 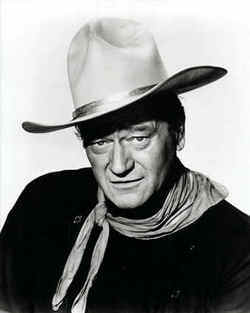 Even though he died 2 years before I was born, I grew up being a big John Wayne fan. Now reflecting as an adult, there is a certain simple charm to the movies made back then that you just don't see in movies today. That's why every so oftain I feel like watching one of John Waynes classic movies. Sign marking the house as John Waynes' birthplace. The house is filled with pictures and props from some of his movies. Unfortunatly, no pictures where allowed inside. Me with a cardboard cutout of 'The Duke' in the visitors center. We are shocked at what we see. 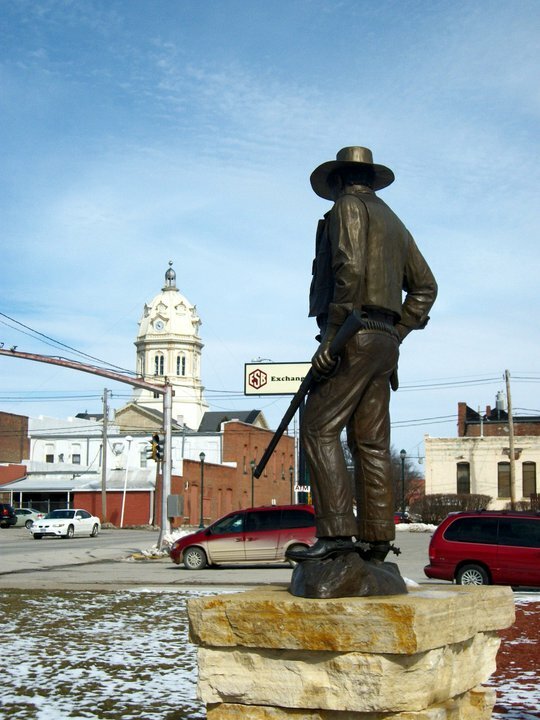 The John Wayne statue with the local courthouse in the background. Notice our van to the right and one identicle to it on the left, stopped at the light. There seemed to be alot of dirt roads in Iowa. 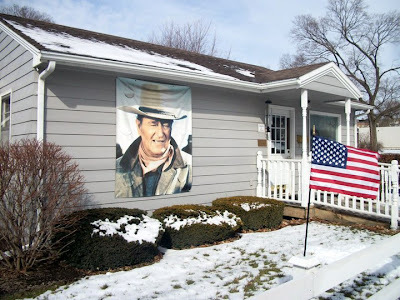 The John Wayne birthplace is a great site to see for anyone who is a fan of John Wayne. If your not a fan you will probably regret the 6 dollar admission fee. I throughly enjoyed it. There isn't much furniture in the house. It is kind of a museum to John Waynes movie career. Pacific View Memorial Park Corona del mar, California. The final resting place of John Wayne. If you look closely to the right side of the picture, you can see my sister taking a picture of the gravesite. 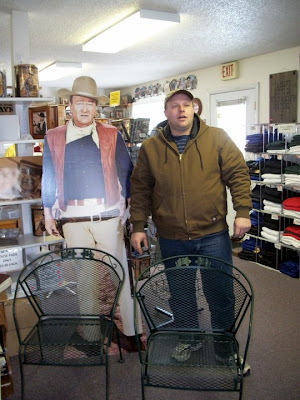 I visited the gravesite of John Wayne on October 1, 2011. My sister and I flew out to Los Angeles for the weekend to see the Nixon and Reagan Libraries. I decided to visit John Waynes gravesite first thing in the morning, before the Nixon Library would open. We had just arrived in Los Angeles around midnight the night before. For some reason the sun seemed unusually bright that morning. Traffic was flowing very well. We arrived at Pacific View Memorial Park ahead of scheduel and followed directions that I got online to John Waynes gravesite. I am thankful that I found this website, otherwise there is no way that we would of found the gravesite. Most of the graves out there are flat markers on the ground, making it tough for us grave hunters out there to find what we are looking for. So specific directions are a nessesity. 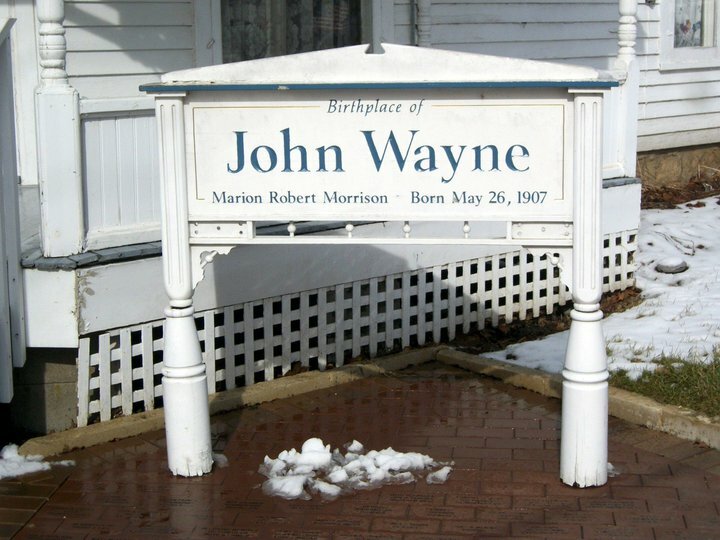 John Waynes family must of been conserned about graverobbers. Because they left John Waynes gravesite unmarker for around 20 years. My sister and John Wayne. She's a big fan to. 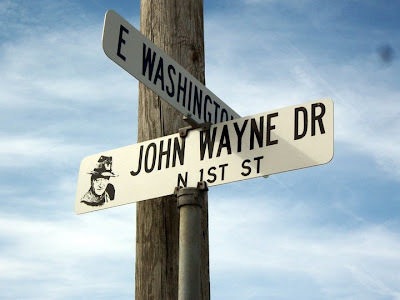 Of all of John Waynes movies that I enjoy watching there are 2 that I seem to go to the most. 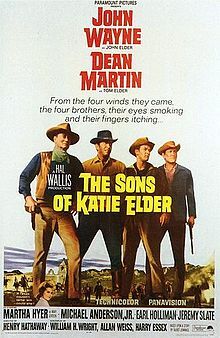 I like True Grit, The Sons of Katie Elder, Big Jake, El Dorodo, The Shootist, and McLintock is always good for a laugh. But the 2 the I really enjoy are 'The Man Who Shot Liberty Valance' and 'The Searchers'. Especially 'The Searchers', which I think is his best performance, playing someone that is Grittier than Rooster Cogburn, and you could almost call his character in 'The Searchers' a bad guy. Almost. In 'The Man Who Shot Liberty Valance' John Wayne is part of a great cast ( including Jimmy Stewart and Lee Marvin) telling a simple story, with a surprise twist. John Wayne's movie career lasted for 50 years. 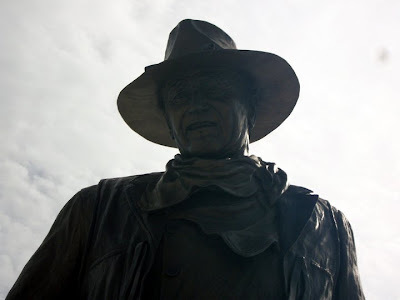 According to Wikipedia a Harris poll which has been realesed every year since 1994, in January 2011 showed John Wayne ranked 3rd among America's favorite film stars. He is the only deceased person on the poll. He is also the only person to be on every years list since it started in 1994. Overlooking John Waynes gravesite in Corona del mar, CA. It didn't take long once I set out to see every President of the United States gravesites for the hobby to grow in 2 different directions. After a couple trips I started collecting birthplaces, homes, libraries, ect. of the Presidents as well as their gravesites. And as I travelled I realized that the places that I go to see the President stuff also have some very famous peoples gravesites in the area. At first I would see the graves of other politicians or businessmen like John D. Rockefeller and Henry Ford. When I went to Boston I saw the graves of early Patriots John Hancock, Samuel Adams, and Paul Revere. 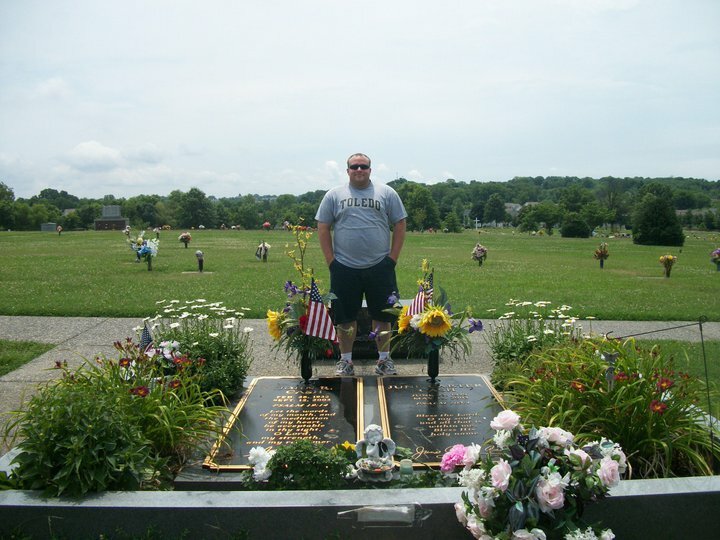 But in June 2011 on the way back from Texas I stopped in the Nashville area and visited the gravesite of Johnny Cash. This was a new experience. To call him a celebrity or a star doesn't quite do it. "Legend" seems more appropriate. 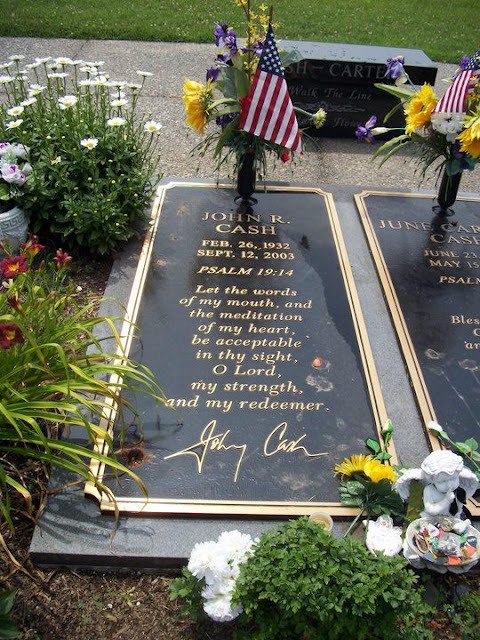 Cash was the first grave visit of someone who made a big name for himself in the Entertainment industry. Not in politics or business like most of the other ones. Then on a recent trip to Los Angeles to see the Reagan and Nixon Libraries I visited 3 cemeteries were some big named celebrities are buried. These visits inspired me to start this blog.